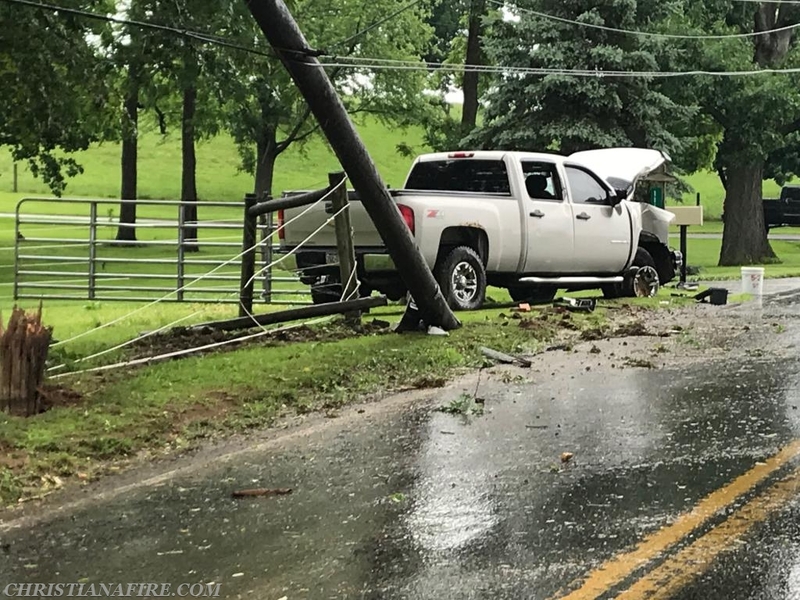 At 2:09 PM the volunteers from Station 52 were dispatched for a reported vehicle accident in the 1100 block of Gap Road in Sadsbury Township after it was called into the Lancaster County 911 Center by the PA State Police. Engine 52-1 (Chief Reimold) went enroute at 2:15 PM with a crew of 6. 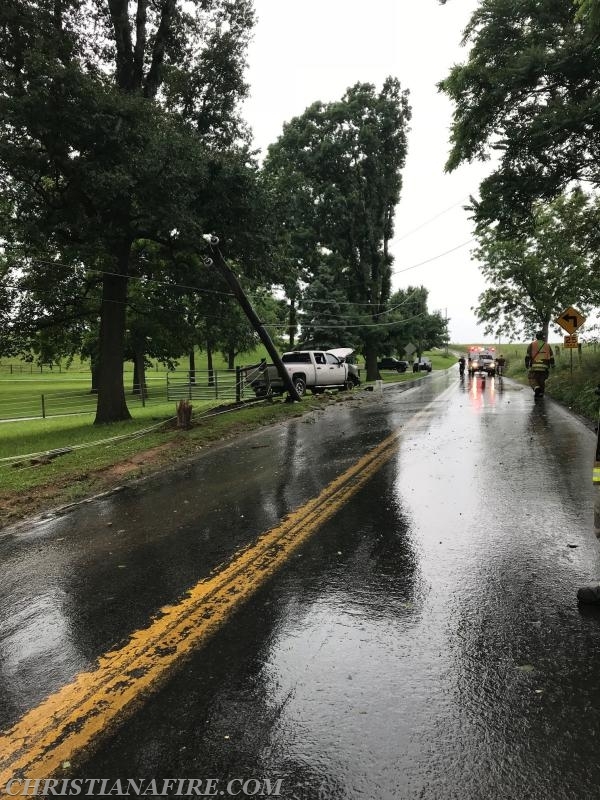 The crew was advised of a one vehicle accident versus a pole with one male patient who struck his head and had some cuts from glass. Tanker 52 (FF Vanderbosch) followed enroute at 2:16 PM with a crew of 3. Upon arrival, Engine 52-1 assumed command and confirmed one vehicle versus a pole which had been snapped in half. 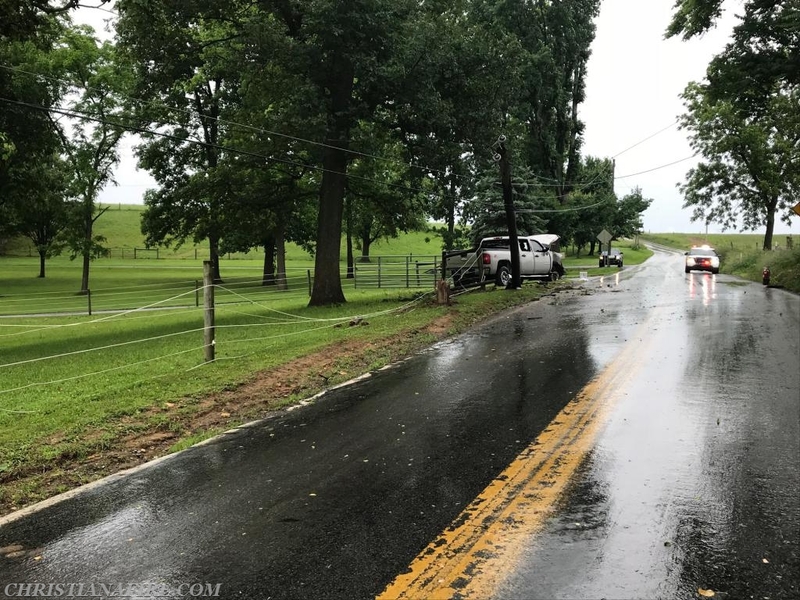 Due to a live wire issue, Engine and Tanker crews stood by in the event services were needed while the patient was in the care of Ambulance 46-1 being evaluated. Fire police and Squad 52 closed down Gap Road to ensure scene safety. PPL arrived and depowered the line and made the notifications to have a crew report to repair the pole and wires. 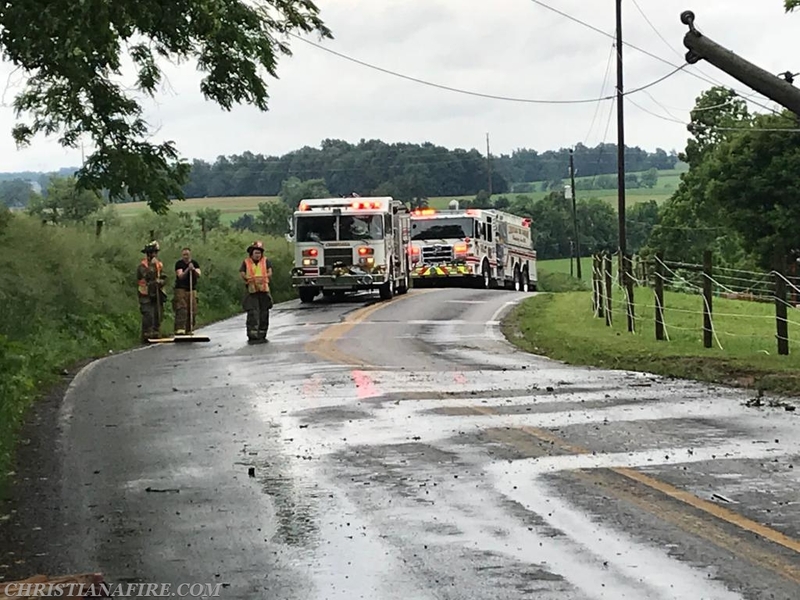 Once the power was confirmed to be off, the crews from Station 52 worked to clean up the roadway. 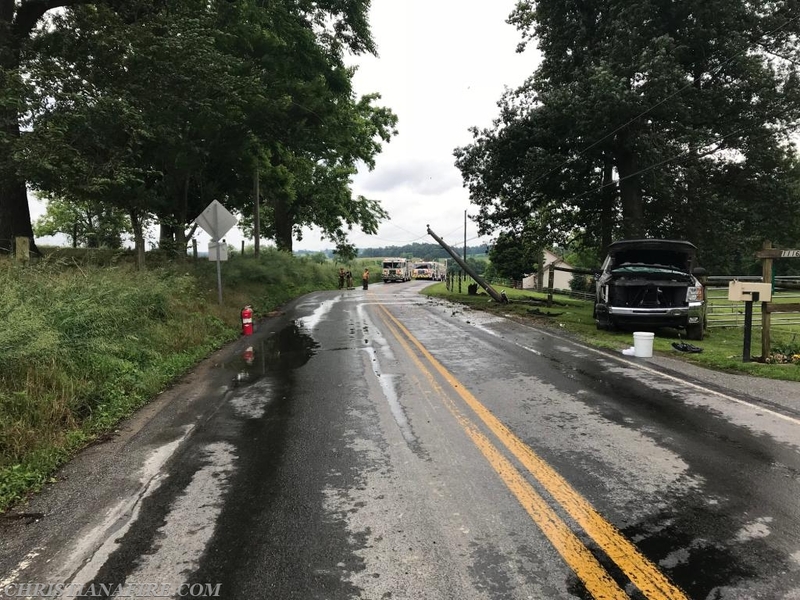 Fire police and Squad positioned barricades to maintain the road closure until PP: could send a crew out to replace the pole and reattach the wires.